Next up, we journey into the land of Makerbot! 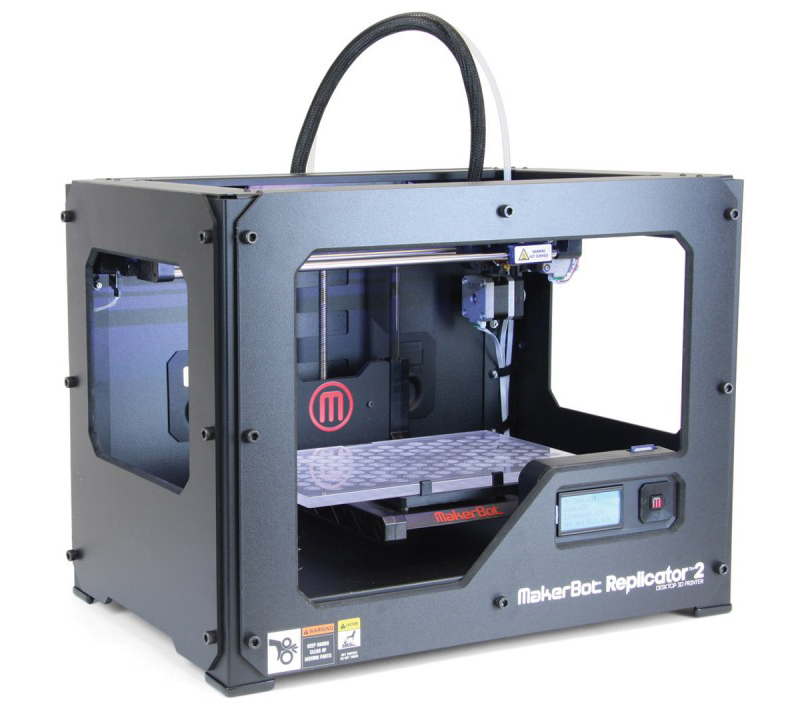 The Replicator 2 is hands down their best offering (which is ironic, because it’s not the newest replicator they have…. The newest replicator suffers from some of the same problems as their z18 printer. More to come about that later!). I’ve done several prints on a makerbot Replicator 2 all without any problems. The best part about the Replicator 2 is how easy it is to repair. The head assembly can be completely disassembled for cleaning and declogging, so that’s a nice feature. The build volume is bigger, but it can only print PLA since it doesn’t have the heated bed necessary for ABS printing. So that’s the one detractor. If you just want to print plastic, then it’s great! The original Replicator is a neat machine because it is just as easy to work with as the makerbot Replicator 2 and has most of the same specs, but it has two heads instead of one, so you can do multiple colors, which is really cool! From a fit and finish standpoint, the Replicator 2 feels like a more professional machine, since the replicator’s case is laser-cut, which gives it a hobby-ish feel. Not necessarily a bad thing, but if looks are your thing, then… yeah. pictures below for comparison!